So why another string library with the same, familiar collection of short articulations? Well, it’s how Musical Sampling produced them that makes it interesting. Shorts are normally recorded in isolation — perhaps one or two notes per bar during the recording process. This makes the editing process a snap and the end result is often satisfactory. The sane choice. With Adventure Strings, Musical Sampling recorded repetition phrases; a quick succession of notes at a procured tempo. The samples of each note of that phrase were then edited and programmed to be playable, which resulted in a fetal position-incurring post-production process. 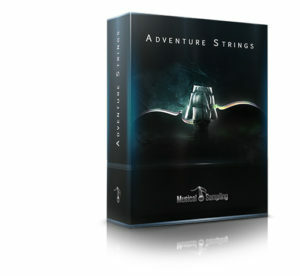 In addition to the shorts (spiccatos/staccatos/pizzicatos/marcatos), Adventure Strings includes trills, tremolos, sustains, keyboard-spanning Full Strings instruments and of course, the Adventure patches.